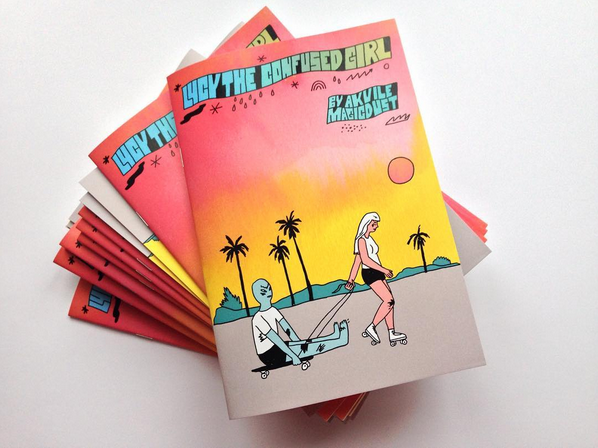 “Lucy the confused girl” a compilation of short comics about an emotional girl named Lucy and her friends alien and tiger. They live in a van together and always get into trouble. Doesn’t matter if they fight for justice or they are just fooling around in abandoned buildings, the things always get emotional.